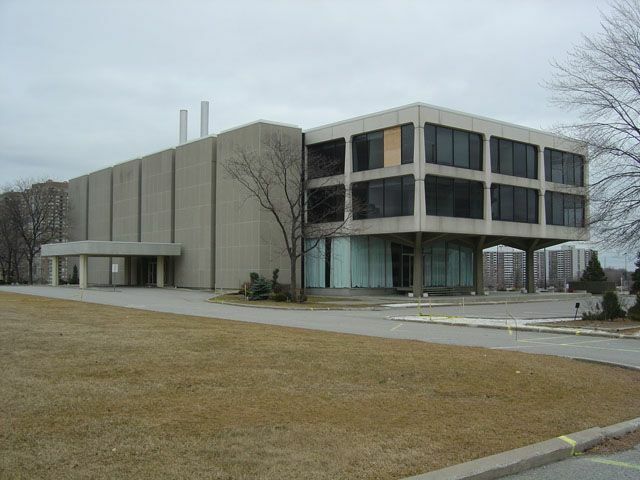 Last September, Toronto city council voted 36-1 to reject a special heritage designation for North York's former Bata shoe headquarters, a hallmark of modern architecture designed by prominent Toronto architect John C. Parkin. This decision made it possible for the 40-year-old building to be demolished. It sits on the site of an Aga Khan Council of Canada proposed complex that would include an Ismaili spiritual centre, a museum of rare Islamic art and a public park. The Bata building is a white pavillion-esque, low-rise concrete and glass office structure that sits on the brow of a hill at the Don Valley Parkway and Eglinton Avenue East. It has been long recognized as a fine example of 1960s-era Modern Movement architecture. Recently, the Toronto Society of Architects identified the building as one of 96 significant buildings and public spaces in Toronto built between 1953 and 2003. Because the Aga Khan Foundation supports the development and heritage of regional architecture in many third-world countries it was hoped the building could be incorporated into the development plans. Many heritage activists, architects and planners are lamenting the loss of good examples of mid-century modern design and the role it played in the original site planning for the area of Don Mills. A motion was tabled at city council that requires the Aga Khan Council to defer demolition of the Bata building until site plans are approved and a building permit obtained. This location has not yet been rated by a moderator. This location's validation is current. It was last validated by Steed on 7/25/2008 4:47 AM. This page was generated for you in 125 milliseconds. Since June 23, 2002, a total of 573398661 pages have been generated.